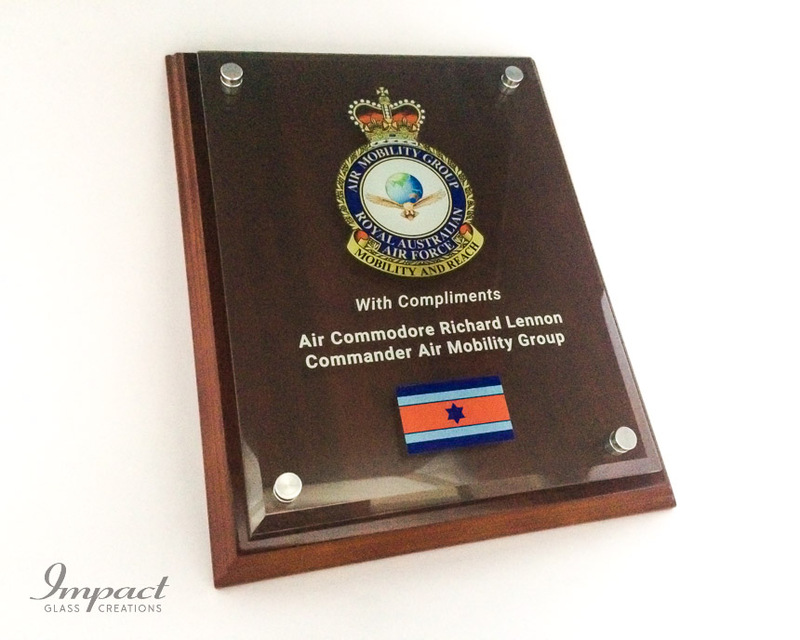 Another variation on the printed plaque, with the crystal being mounted on a timber backboard to allow for wall display, but with the option for it to be free standing if required. 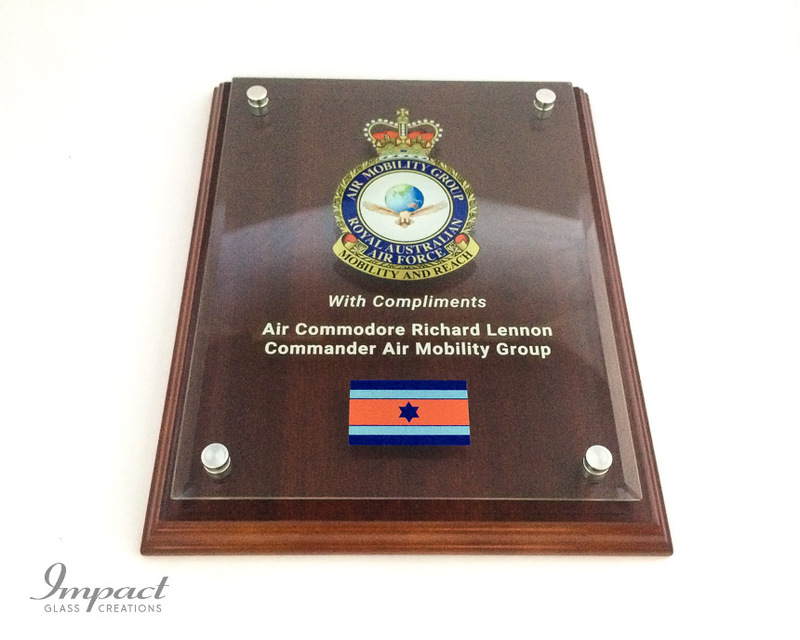 The printed panel can be spaced or attached flush on the plaque so the rich colour print on the back of the plaque is given full protection. 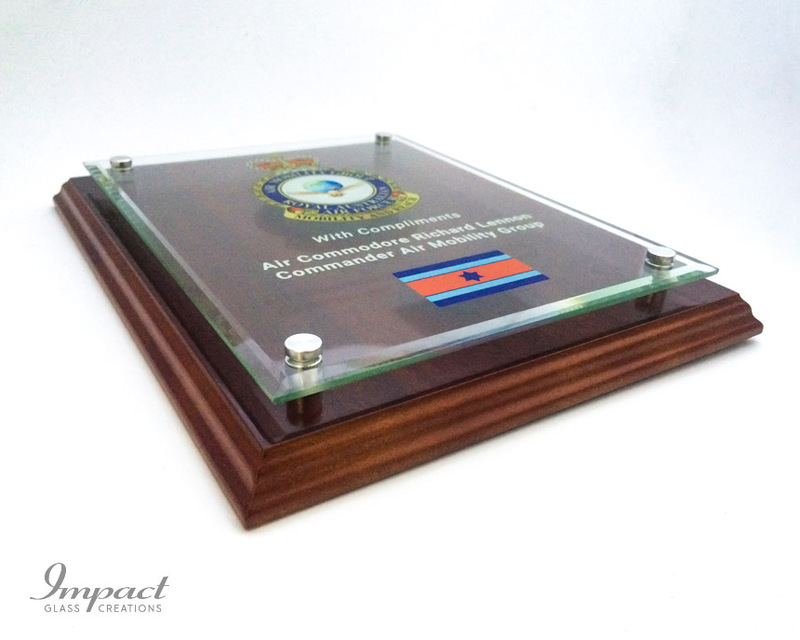 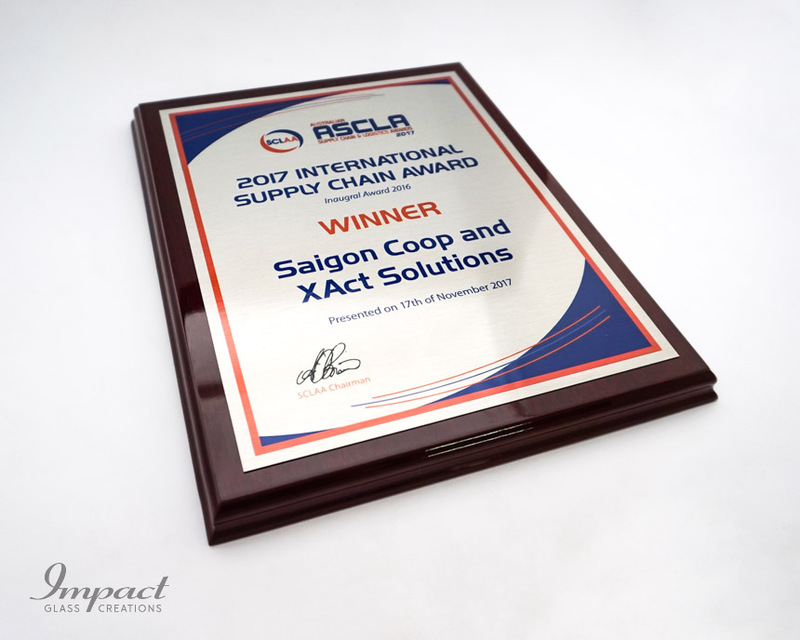 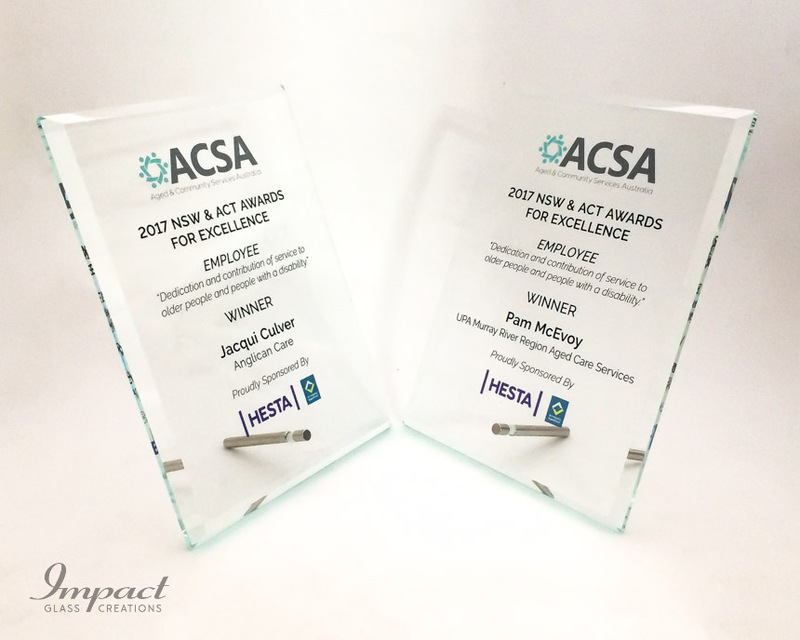 Designed for reward, recognition, a services gift or graduation award, there is a range of colours available for the timber and an option of diamond polished acrylic or the crystal.